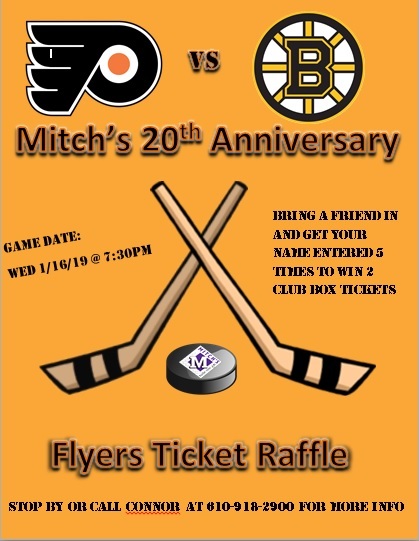 Are You A Mitch’s Gym & Flyers or Bruins Hockey Fan? We are giving away 2 Club Box tickets to the Flyers vs. Bruins hockey game on January 10, 2019, along with some other great prizes. For your chance to win just bring a friend to the club and we will enter your name in the drawing for 5 chances to WIN. In addition we will have more chances if your friend joins your club or though participation challenges. Fill out this form to enter your Guest for a FREE visit.